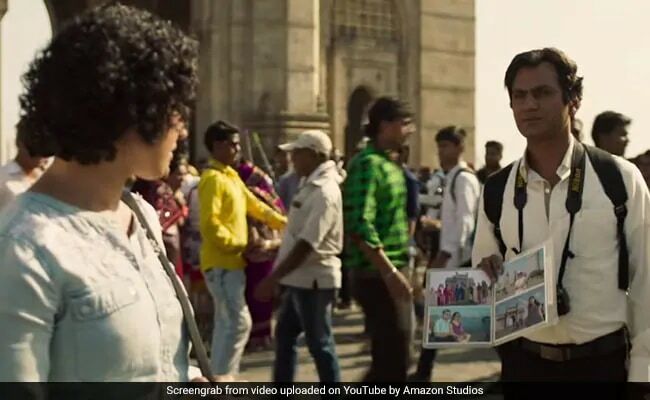 Photograph Movie Review: Nawazuddin never appears to be acting at all. Sanya, pleasant and charming, informs the performance with amiability. A love affair scuttled by entrenched class equations was a narrative trope that Hindi cinema liberally banked upon for several decades starting with the 1950s. In many a romantic drama, the impossible-to-bridge chasm would threaten to scupper the ardour of young love. In his fourth film, Photograph, director Ritesh Batra revisits the much-lived construct of yore, but in a subdued style far removed from the norms of the genre. He adopts deliberate pacing and austere treatment to capture the minutiae of city life, shorn of crowd-pleasing flourishes. Photograph, which arrives in our multiplexes after playing in two major film festivals (Sundance and Berlin), confirms that the man behind The Lunchbox has lost none of his ability to reveal the subtler sides of urban existence. The film mines nostalgia not only for a cinematic tradition but also for a metropolis where the pace of life wasn't as frenetic as it is today. 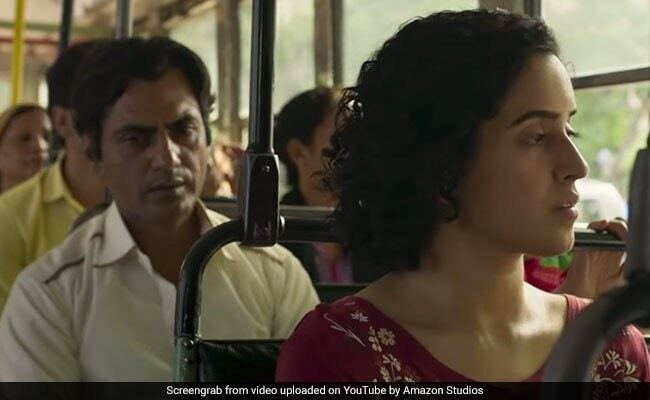 Brightened up by the subtle experiential layers that actor Nawazuddin Siddiqui adds to it, it deals more with tremulous yearning than with all-consuming passion. That is the hallmark of Batra's filmmaking - simple, coherent and evocative. Photograph brings back memories, without consciously borrowing anything substantial from either, of two disparate kinds of Indian cinema - one represented by the genteel, good-humored comedies of Hrishikesh Mukherjee, the other by the more socio-politically inflected 1965 Mrinal Sen film, Akash Kusum (which was adapted 14 years later in Hindi as Manzil by Basu Chatterjee). Elements reminiscent of the former exude warmth and undying optimism, while those from the latter recognizes the obstacles in desire's path when two individuals from dissimilar social backgrounds fall for each other. Rafi (Siddiqui), a street photographer, makes a living by taking snapshots of tourists at the Gateway of India. His grandmother (Farrukh Jaffar) back in his native Uttar Pradesh village pesters him to get married. On a whim, Rafi sends her a picture of a young, beautiful stranger that he has clicked, gives her an imaginary name, Noorie, and passes her off as his fiancee. When an understandably excited granny decides to pay Rafi a visit, the man has to track down the girl in the Photograph, Miloni (Sanya Malhotra), an accountancy student in her 20s, and convince her to live out the ruse until his grandmother is around. This may appear to be an implausible liaison, but this is Mumbai, a city that never ceases to spring surprises on its denizens. So even though you might wonder how a girl like Miloni, whose world is full of possibilities, would give in to a request from a stranger who has encounter enough ups and downs in life to be swayed by expectations of a dramatic turnaround in his fortunes. Many of the defining characteristics of Mumbai, the city of the clockwork dabbawalas that provided the cultural spine to Batra's similarly paced The Lunchbox find their way into the frame in Photograph, imbuing the story of the struggling photographer and a shy, career-oriented upper middle class girl who share little in common until their paths cross. 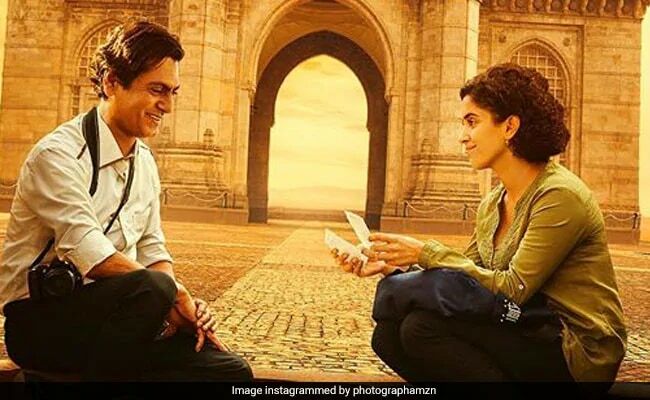 It is, like The Lunchbox, a film that could have been set only in Mumbai, where the director spent his formative years before migrating to the West. In The Lunchbox, the focus is mainly on the trains and buses that ferry Mumbai's millions. It is a film about two people who, like Photograph's Rafi and Miloni, are worlds apart. They are temperamentally unlike each - the woman is unhappily married, the man is a widower haunted by loneliness. The only way the twosome could have reached out to each other was through a quirk of fate, a rare accident, represented by an exchange of missives via lunchboxes. The Lunchbox is a romantic tale with a unique tenor and an unhurried rhythm. So is Photograph. The two central characters in this film are separated by class, religion, age and disposition. A strong bond develops between the two in circumstances that might stretch credulity a bit, and the separate worlds they inhabit makes their relationship that much more difficult to consummate. Will they or, to be more precise, can they surmount the things that make them so starkly unmatched. In Photograph, the emphasis is more on Mumbai's restless street life - its cabbies, hawkers and men plying odd trades. As she goes out with Rafi, Miloni, who has grown up under the shadow of her well-off parents who have taken most decisions for her, begins to discover a facet of her city that she has never been exposed to before. The man, just shy of attaining middle age, is out his depth in the girl's social milieu but is absolutely sure-footed when he is in his own world, the neighbourhood of migrants where he lives and its environs. And that is what Photograph is essentially about: learning to be comfortable in one's own milieu and also to be open to embracing differences. 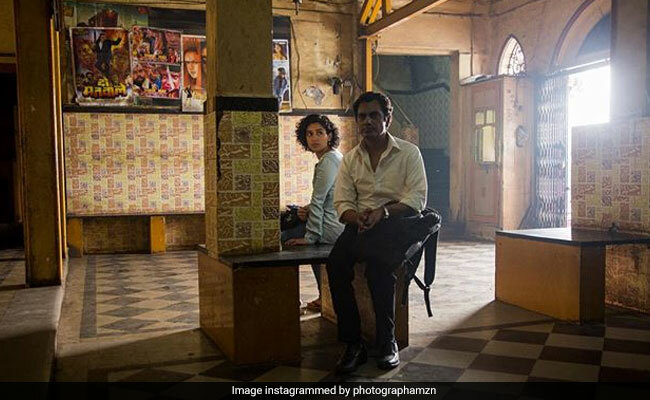 Nawazuddin Siddiqui slips into the skin of Rafi with the ease that comes from the fact that he is in many ways playing himself in the film - a migrant from Uttar Pradesh fighting to find his place in the Mumbai sun. He is so utterly believable that he never appears to be acting at all. Sanya Malhotra, pleasant and charming, has to make a much greater effort to render her character convincing. She informs the performance with amiability and wit. Among the supporting cast members, the ever-reliable Geetanjali Kulkarni plays Miloni's maid with consummate ease.